Is good oral health important? This year the Surgeon General published the first oral health report. The report states that “oral health is integral to general health”. Disease in any part of the body affects the general health of a person. This is true when the disease involves the teeth (cavities) or the gums (periodontal disease). Teeth and their surrounding tissues are important for eating and speaking. There are hundreds of different types of bacteria that live in the mouth naturally. Most do not cause any diseases. The main bacteria involved in decay are Mutans Streptococci. This bacteria produce a sticky substance that allows them to stick to the tooth surface. The bacteria feed on sugar and produce an acid by product that can demineralize tooth enamel. If the enamel is not remineralized, it will continue to breakdown causing a hole or cavity. Once a cavity is formed, only a filling can restore the tooth. Where do bacteria come from? Infants are born without any bacteria in their mouths. Shortly after birth, bacteria from other people begin to colonize their mouths. The decay causing bacteria, Mutans Streptococci, survive only on hard structures in the mouth, like teeth. Research shows that the primary caregiver (usually the mother) spreads the bacteria to the infant. It is important that primary caregivers have good oral health to increase the chance that the infant will have good oral health as he/she grows. What can I do to prevent tooth decay? There are things that you can do to help prevent decay. Fluoride helps strengthen the tooth enamel, making it harder to demineralize. Fluoride can also help tooth enamel to remineralize. Having fluoridated water and using a toothpaste with fluoride can help your teeth resist decay. Another prevention strategy is to have sealants put on the chewing surfaces of the back teeth. Sealants are a thin plastic coating that is painted on the grooves and pits found in teeth. These are areas that are difficult to clean and are the most likely to have decay. Sealants are most effective when placed on newly erupted molars. The first permanent molars erupt when children are 6 – 7 years old. The second permanent molars come in at 12-13 years old. Parents should ask their dental provider about fluoride and sealants for their children. What about my diet? Can that make a difference? The decay causing bacteria feed on simple sugars. In the mouth, complex carbohydrates (starches) start to breakdown to simple sugars. It is not possible to avoid all sugars and starches. In fact, it would not be healthy to do so. What you can do is take a look at the form and frequency of sugary and starchy foods that you eat. Cookies, candy and other dessert foods should be eaten with a meal. During the meal, your mouth produces much more saliva. Saliva helps clear away remaining food and buffers acids in the mouth. Frequently snacking on sugary or starchy foods increases the risk of decay. Sipping sugary drinks like soda pop or fruit juices all day increases the risk for decay. Snacking on sugary or starchy foods that stick to the teeth can also be a problem. It is best to eat three healthy meals a day and limit snacks. Have desserts with meals and choose foods like cheese, popcorn or carrots for snacks. Does it really matter if baby teeth get cavities? Cavities can be prevented whether they are in primary or permanent teeth. Primary teeth are important for eating, talking and saving space for permanent teeth. Teeth start erupting when infants are about 6 – 7 months old. Some of these primary teeth will not be lost until the child is 11 – 13 years old. If primary teeth become diseased it can lead to pain and infection, hindering a child’s learning at school. It is also difficult for children to eat a well balanced meal with a mouth full of cavities. Untreated cavities also mean that there is an increase in the decay causing bacteria. As permanent teeth erupt, they are at increased risk for also developing cavities because of the high bacteria count. Begin flossing when the baby’s first teeth appear. Introduce a drinking cup by the first birthday. Try to avoid bottles. Avoid sweet liquids between meals. Start dental check-ups around the first birthday. Ask your dentist about using fluoride and applying sealants. Give fluoride tablets or drops. Teach your child how to brush, but always supervise them. Children need help getting to all their teeth. If primary teeth are important, when should children start seeing a dental provider? Children should see a dental provider starting at age one. This gives the provider a chance to talk with parents about good oral health for the child. Parents can start a dental routine to increase the chances that their child will be cavity free. By taking care of teeth and visiting a dentist regularly, children can keep their teeth healthy for a lifetime. I heard that children don’t get cavities any more. Is that true? Unfortunately, 20% of our children have about 80% of the disease. Children from low income families are twice as likely to have dental decay. Children from minority families and immigrant/refugee families are also at higher risk for decay. While the oral health of Americans has indeed greatly improved during this century, there are still segments of our population that suffer from dental decay. The Surgeon General’s report estimates that 51 million school hours are lost each year to dental disease along with 164 million work hours. Where can I find a dentist for my children that will accept Medicaid or that offers a sliding fee scale? In Pacific County there are three dentists that currently accept medical coupons or serve children from low income families. Is it normal for my gums to bleed when I brush my teeth? Healthy gums generally do not bleed during brushing. Bleeding gums may be the result of bacteria irritating the gum tissue. Brushing and flossing on a daily basis help to keep the gum tissue healthy. Some medical conditions can also irritate the gum tissue. See your dental provider for evaluation if bleeding is prolonged. Periodontal disease is an infection involving the tissues that support the teeth – the gums and bone. Bacteria just underneath the gums next to the teeth produce toxins that infect the tissue and can lead to bone loss. If too much bone is lost, the tooth may be lost. Recent research indicates that there may be links between periodontal disease and other health problems. Pregnant women with periodontal disease are at increased risk for pre-term labor. During pregnancy, include a dental check-up along with other visits to health care providers. 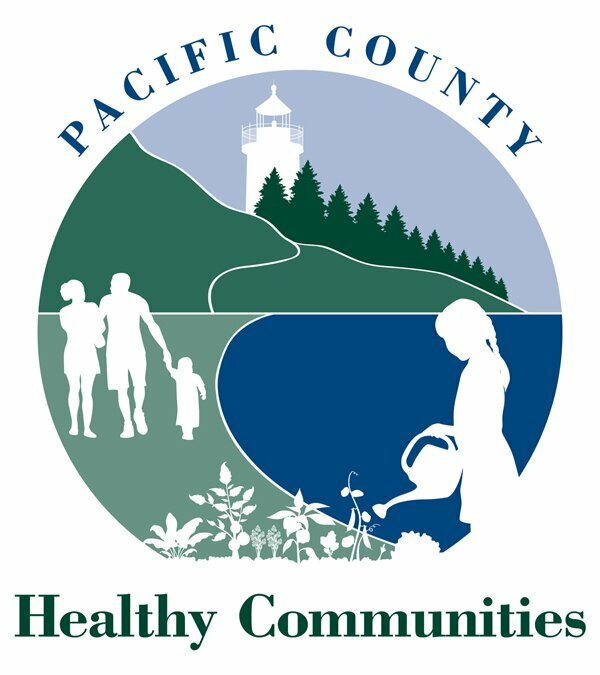 Are Pacific County water systems fluoridated? Raymond and South Bend are the only water systems in Pacific County that are currently fluoridated. Children not residing in Raymond or South Bend should ask their providers or dentists about fluoride supplements. If your child lives in South Bend or Raymond but you use bottled water you also need to ask about fluoride supplements. Fluoride comes in either a liquid or a chewable tablet.